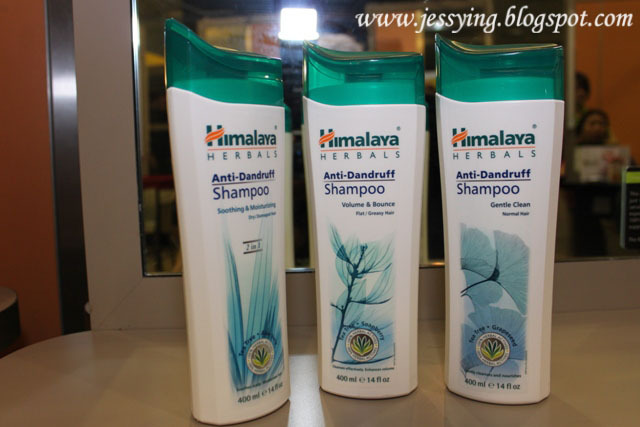 Have any of you heard of Himalaya brand before ? 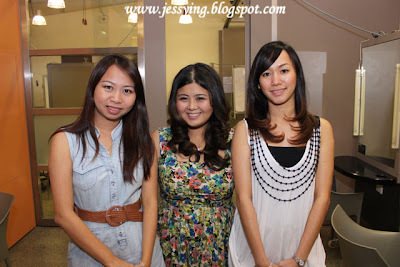 It is a brand that hails from India and has been in Malaysia (first flagship store in Suria KLCC) since the year 2006. And I remembered when I saw them at the Watsons, I was suprised to see their price was very affordable even it is 100% natural. I have tried a few face & body products before when they first launched here few years ago. And when I was invited to join Himalaya My Hair My Mane Woe Workshop I was thrilled because it is a hands-on and I am getting a hair pampering session from A Cut Above Academy using Himalaya products ! 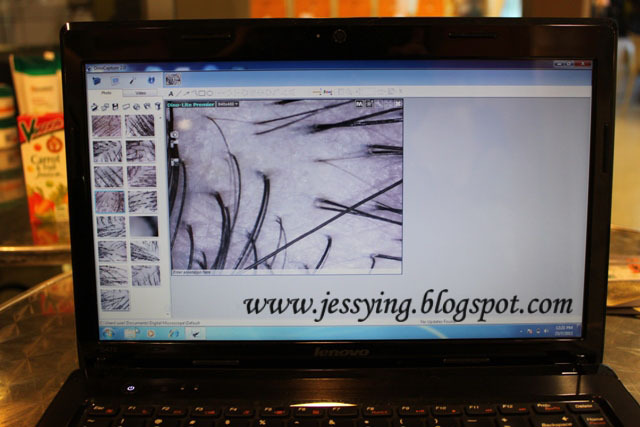 So I started with a hair analysis session with Yvonne. TO MY HORROR, I was diagnosed with having hair fall problem. 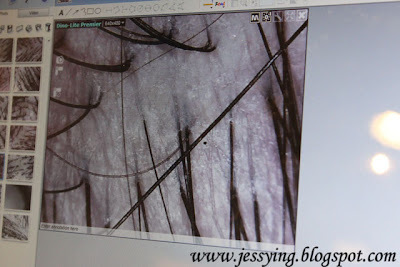 Yvonne said that someone who has a healthy scalp would have at least 3 to 5 hairs per follicle. But looking at my scanning result especially the front part of my head, I have 1-2 only per follicle.. and the distance between each hair follicle is quite far. Massaging of hair & scalp with a proper nutrient hair oil gives additional nutrition to the scalp and prevents hair loss. 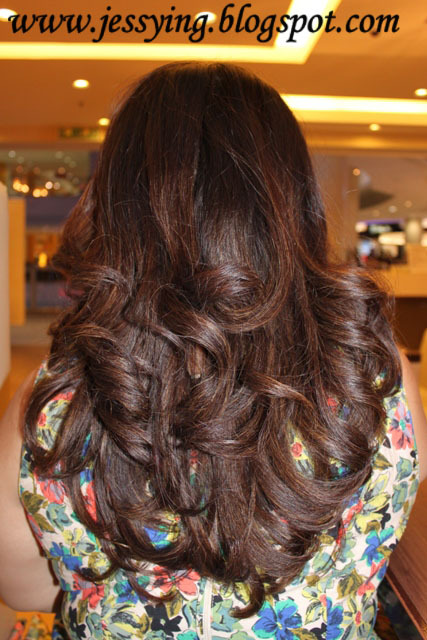 Massaging also increases the blood circulation in the scalp & this keeps the hair roots strong. 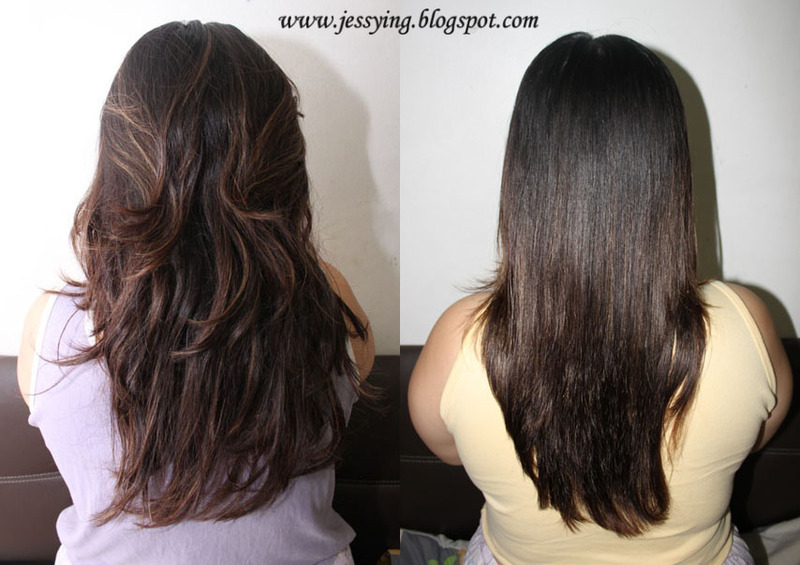 Revitalizing Hair Oil is a non-sticky oil which nourishes & promotes hair growth. A breakthrough 2 in 1 formula that provides root nourishment and strengthens weakened hair. Conditions and improves hair texture to reduce hair fall due to breakage. Makes hair smooth, soft and tangle-free. 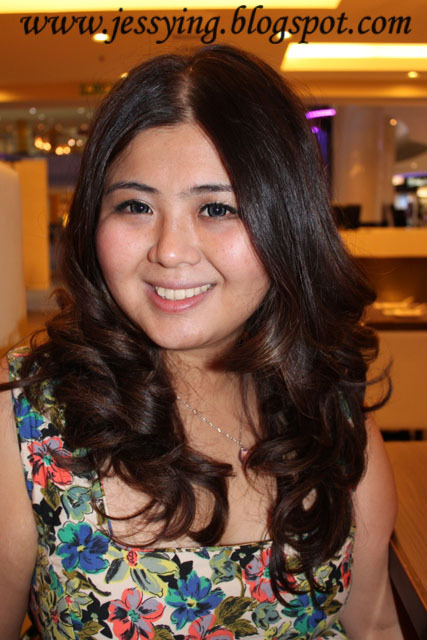 It adds shine and luster to dry, rough and brittle hair. 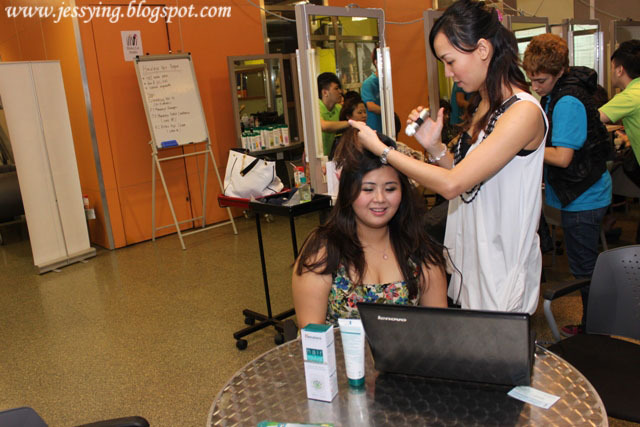 By moisturizing the hair scalp, it makes hair manageable and tangle-free. Direction to use : Apply generously over wet scalp & hair after washing hair; leave for 2-minutes and rinse off. 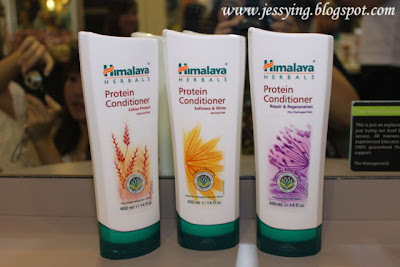 Nourishes your hair with Natural Proteins derived from ingredients like Wheatgerm and Chickpea. Indian Gooseberry and Thistles promote hair growth. Direction to use : Massage gently on scalp in circular motion and best to apply during the day time. 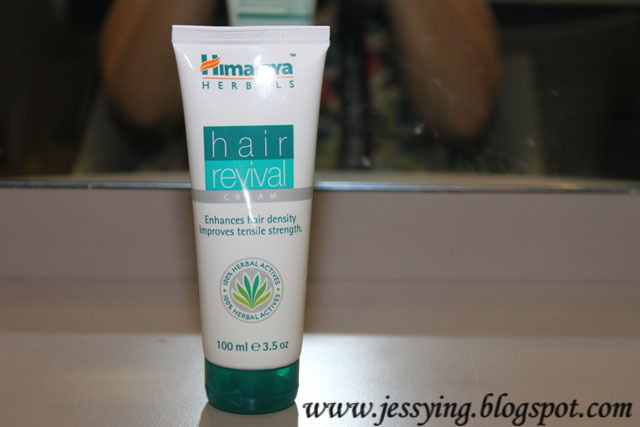 Stimulates the Anagenic (Active) phase of hair growth cycle. Induces quick multiplication of hair fibre cells an help to improve tensile strength of hair and increases hair density. However do note that this Hair Loss Cream does not work in cases of Male Pattern Baldness (baldness due to genetic reasons). Direction to use : This product is to be applied on our entire hair scalp, part by part. For best results, leave on overnight and wash it off by morning. 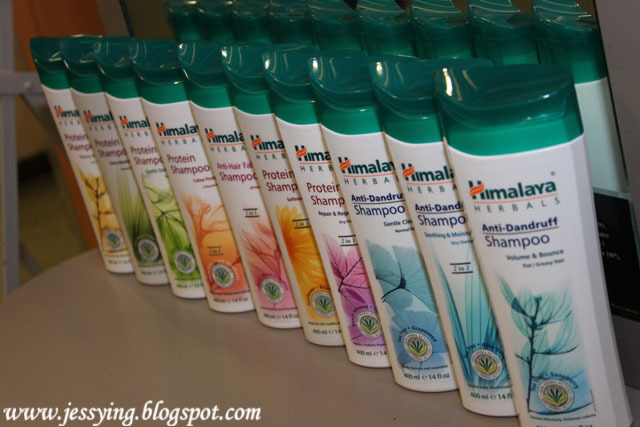 The hands on experience with Himalaya's hair products. 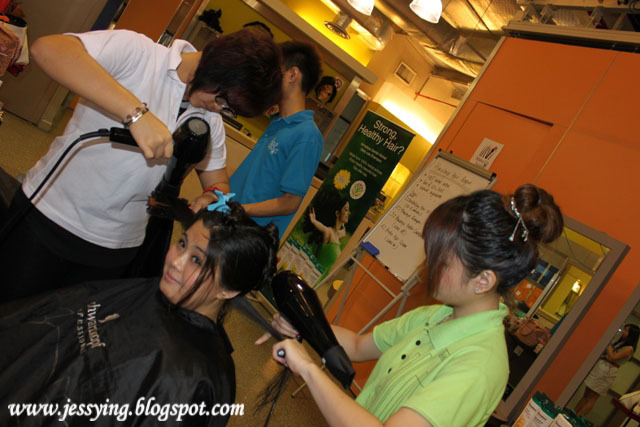 Here the stylist massage my scalp with Revitasing Hair Oil before the hair wash.
And after the hair wash I was given a good head and shoulder massage!! Always remember to massage our hair scalp while shampooing or conditioning as it helps to stimulate our blood circulation which will also stimulate our hair to grow naturally. Tips : I always comb through my hair either with my fingers or big comb while conditioning my hair so that when I rinse my hair it is already tangle free ! Then my hair was blow dry and style. My first feeling when the products used on my head is that Himalaya products smell very good!! And the products does not caused any sensitivity on my hair scalp. 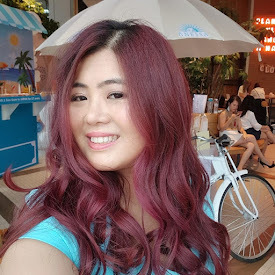 Let me show you the reality of my hair condition in close and whether the products work for my hair. Not only my hair scalp is unhealthy, the visible problems that one can see is that I have dry and tangled hair. I must say that the Himalaya's Detangler & Conditioner is the star product here as it has smoothed my hair condition significantly. And best of all their products are all mild and smell so good !!! 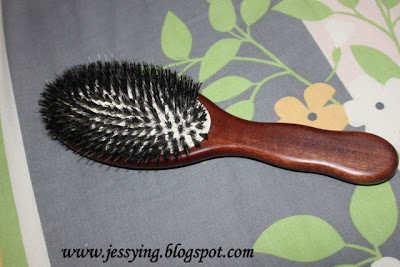 Beside using the right hair products, it is important to use the right hair brush is important as well. 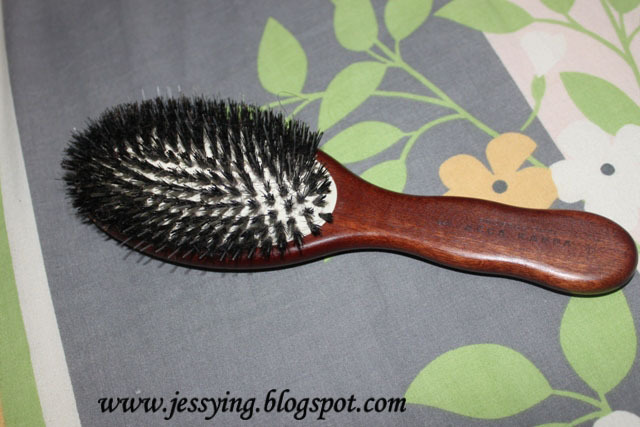 This is my favourite hair brush from Acca Kappa Professional Pro Hair Brush made with Pure Boar Bristles which is designed to stimulate the scalp and polish the hair shaft. 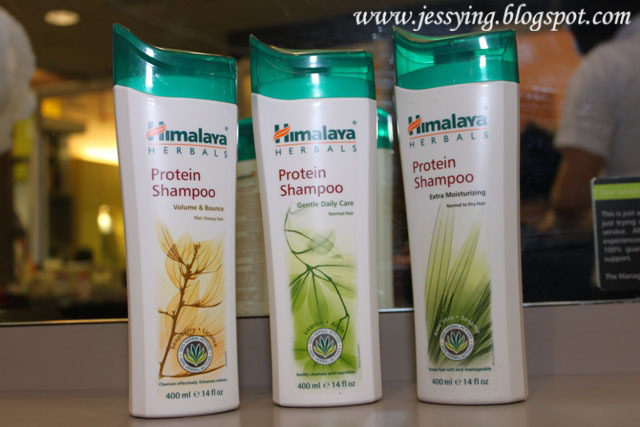 There are total of 5 ranges under Himalaya hair products and they have just recently revamp their packaging! Under each range which , there are few products which will give different result to your hair. 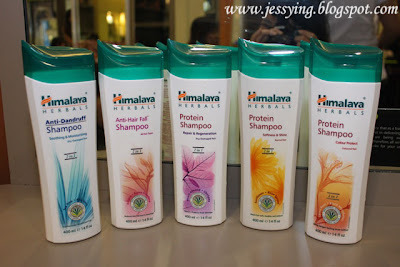 This is 2 in 1, i.e shampoo & conditioner in one bottle. Have you people try any of the Himalaya hair products ? Do share your experience here with me ! 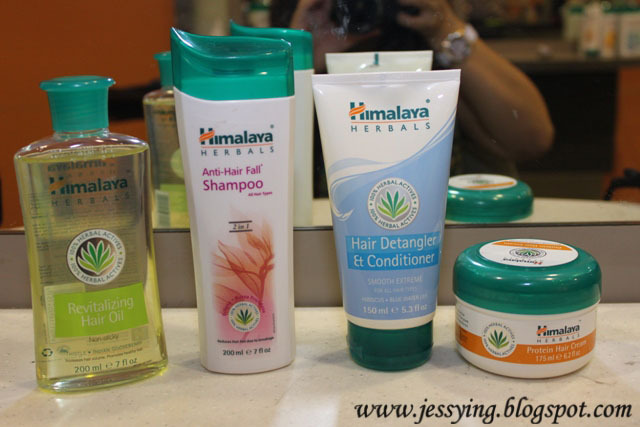 I did mentioned to you earlier on that I did a "little haul" of Himalaya products during my Incredible India trip last week after I felt in love with the products that I was given to try !! 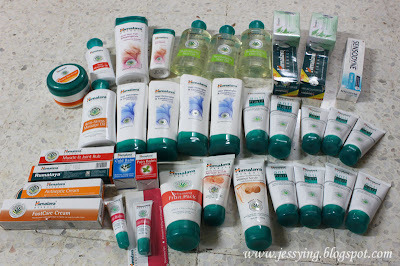 that's alot of himalaya product, enuff for 1 year supply as! A popular brand and fast catching up in the market.